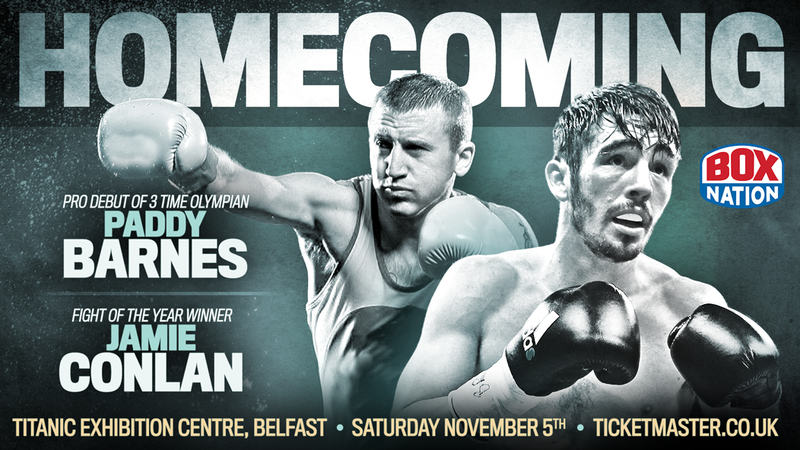 Belfast’s Jamie Conlan (17-0 11KOs) will warm-up for his vital WBO World title final eliminator with a must win eight round International Super-Flyweight contest against Hungary’s David Koos (8-2-1 2KOs) this Saturday at the Belfast Titanic Exhibition Centre. All-action Conlan was handed a massive boost ahead of his hotly-anticipated homecoming fight when he was told his next fight would be a WBO World title final eliminator. ‘The Mexican’ is promising there will be no slip-ups against the dangerous Koos as he prepares himself for a career-defining fight in 2017. “Expect fireworks,” declared Conlan. “Every fight now is a World title fight. If I slip back down the ladder I’ll have to start from the very beginning again. There can’t be any slip-ups on Saturday night, I need to get this one out of the way and prepare myself for the biggest fight of my life next year. “I need to get in there and get the job done. My team has really pushed me forward and we’ve been making some great progress over the past few months. Everyone behind me is pushing me in the right direction and now it’s my time! “Belfast boxing is like a big conveyor belt at the moment! We’ve got Carl Frampton heading over to Vegas for his rematch with Leo Santa Cruz in January and then my brother Michael is making his professional debut in New York in March.